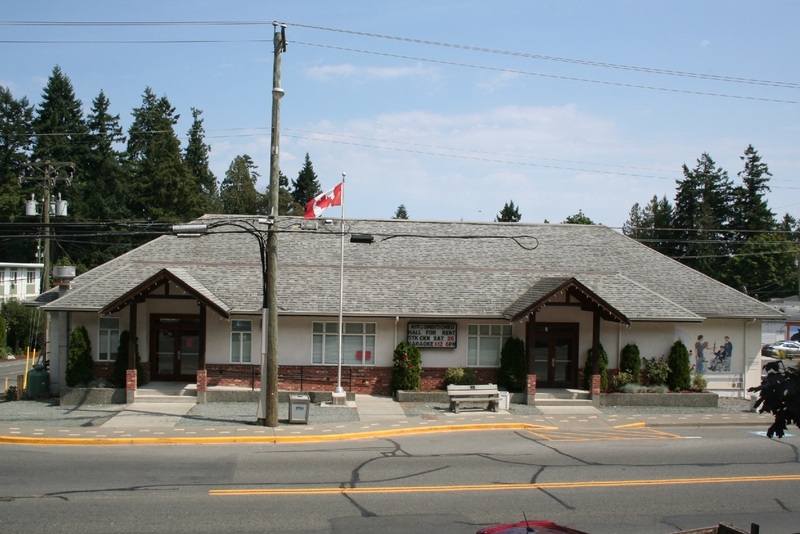 We continue with our endeavours to acquaint you with the veterans within this Branch and the paths they have chosen to ultimately end up as legion members in Chemainus. This edition I proudly present to you Ronald Wallace MacLean. Ron was born in Montreal, Quebec on 16 March 1933 where he was raised. Ron was an only child and according to him, why not? When you get it right the first time, there’s no need to try any further. He grew up in areas of Montreal, Chateauguay and Huntingdon, graduating from Huntingdon Academy with his junior matriculation in 1950. 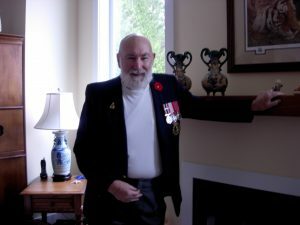 Throughout most of his high school years Ron had always thought about joining the Navy and on 6 April 1951, just after turning 18 he enlisted in the Navy at HMCS Donnacona, a naval Reserve Unit in Montreal. 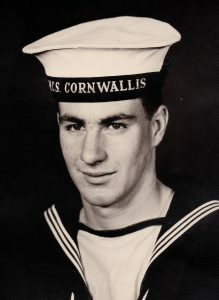 He then proceeded to HMCS Cornwallis in the Annapolis Valley, Nova Scotia for his basic training. Ron married S/Lt Barbara Schmidt in August 1954, and as the times dictated back then, she had to resign her commission before that could happen. Ron and Barbara remained together until her passing in December 2005. Ron entered the Navy as a Radio Operator and as a result ended up with various postings to Naval Radio Stations such as Gloucester, Churchill, Cloverdale, Aklavik, Inuvik , Naden as well as CFS Alert where he was employed out- of- trade as the Station Warrant Officer (SWO). This he considered one of the more rewarding land-based postings as he considered the uniqueness of the posting for its location and geography, as well as the complexities of some of the situations he would have to deal with over his six-month tour. Ron has sailed on a number of ships from both coasts including HMCS’s Magnificent, Nootka, Assiniboine, Saguenay and Athabaskan on the East Coast and Fraser and Yukon on the West Coast. He also served three years on the staff of the Flag Officer for CanMarPac. His favourite ship was by far the Magnificent as it was his first ship and the fact that it was a carrier made it that much more exciting. In 1972, just short of 21 years’ service, Ron decided to take his release from the Navy, retiring as Chief Petty Officer 2nd Class. He had considered every day in the Navy as an adventure and had never thought of it as a job or profession. Ron enjoyed being at sea, especially when it resulted in carrying out exercises somewhere in the Caribbean while Canada was covered in its winter coat. He particularly enjoyed visiting the British Isles as his first major trip and having the opportunity to visit Havana during Batista’s rule. Another one of his “adventures” resulted in a two-week hospital stay for a gunshot wound he received. No, it wasn’t combat on the high seas, but a wayward round of blank padding from a (expletive removed) individual on a Victoria Day Parade float who forgot he was supposed to be firing in the air. Is it any wonder their float won “Most Original Float” category? After his release in 1972, Ron decided to join the RCMP as a civilian member and was with them until July of 1984, then transferring to CSIS where he was OIC Emergency Ops Centre until his next retirement in 1990. Ron has two sons Trent and Scott who are successful businessmen in Canada and USA. Ron moved out to BC, where he re-connected with Joanne whom he has known for over fifty years and both now are life soul mates. Ron is a hopeless romantic, validated by Joanne, and has a passion for whatever endeavours he chooses to tackle. He has a deep-seated ability to work wonders with pen and paper, a trait he remarks that his father also held, and no doubt he will perusing this with a fine-toothed comb. His veracity with pen may also hinge on the fact that he is an aficionado of all types of crossword puzzles, cryptic and otherwise. His love of hockey and the Canadiens in particular, is no secret around here; usually if he is not available; it’s most likely due to the fact that there is a hockey game on somewhere with his team playing. He also has a passion for fine wine and music, and is a devoted Willie Nelson fan. He possesses a delightful sense of humour and can always be counted on to come up with one-liners and snappy retorts to keep all his friends on their toes. Ron, like a lot of our demographic, has not been unscathed as he has had to successfully battle a number of medical conditions and considers himself a survivor, which he is truly is. His love of life and the good things in it remain a testament to his character and charisma. Ron and Joanne currently reside here in Chemainus with their two poodles and multitude of bears which assemble to make their house their home. Unfortunately a lot of the stories that Ron has, can’t be put on paper for obvious reasons, (and to protect the guilty), so if you would like to hear some of them, come on down to the Branch and eventually you’ll hit a day when he is visiting, and if he doesn’t cut you down first, he may just tell you one of them! Ron, thanks for serving, thanks for being you! Hugs forever. MacLEAN, Ronald Wallace, RCN CPO Born: March 16, 1933 Montreal, PQ Died: July 25, 2018 Duncan, BC “An honest man here lies at rest, As e’er God with his image blest: The friend of man, the friend of truth, The friend of age, and guide of youth: Few hearts like his, with virtue warm’d, Few heads with knowledge so inform’ If there’s another world, he lives in bliss: If there is none, he made the best of this.” Robert Burns Forever in my heart – Joanne.